The StylinStrings Mesh-X Lacrosse Pocket is the best all around pocket we sell. If you're switching from a mesh pocket to a custom traditional hybrid you can't go wrong with this 4 leather combo. 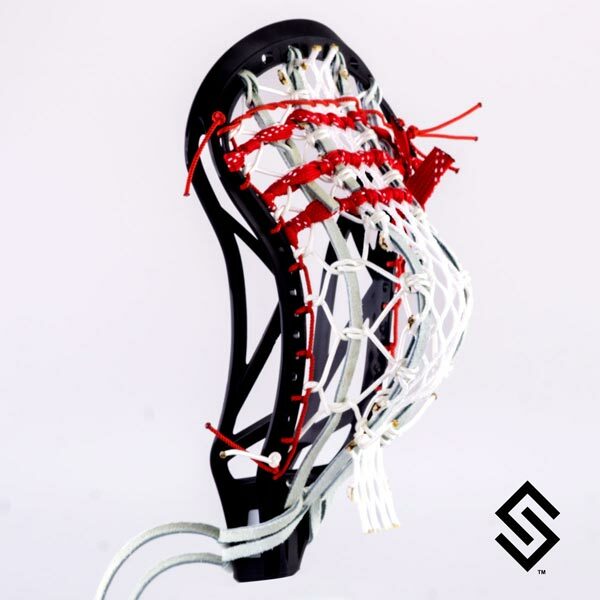 Shown in a Brine Clutch, this pocket can be strung in any men's lacrosse head. A soft mesh center channel option is the easiest transition and shortest break in time. You can choose any type and color of mesh for the center channel but remember the leathers and string already make it harder to break in than mesh. So just because you like a hard mesh regular mesh pocket doesn't mean that is the best option for your Mesh-x center channel. Control and pinpoint accuracy are as simple as it gets for this pocket. Lower break -in time with black or brown leathers than white or yellow. This pocket dates back to our first five pockets we strung in 1999.